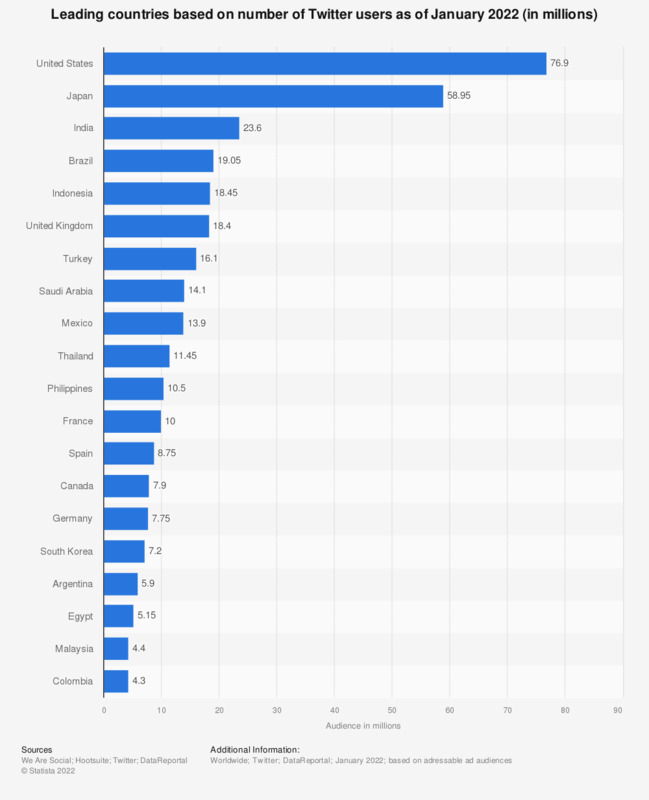 This statistic shows the number of active Twitter users in leading markets as of April 2019. During this period of time, the microblogging service had 7.86 million active users in India. The United States were ranked first with 49.45 million users. As of the fourth quarter of 2018, Twitter had 321 million global MAU. The most-followed Twitter accounts include celebrities such as Katy Perry, Justin Bieber and former U.S. president Barack Obama.